I am Natty: a little girl first and foremost, with my own unique take on life. 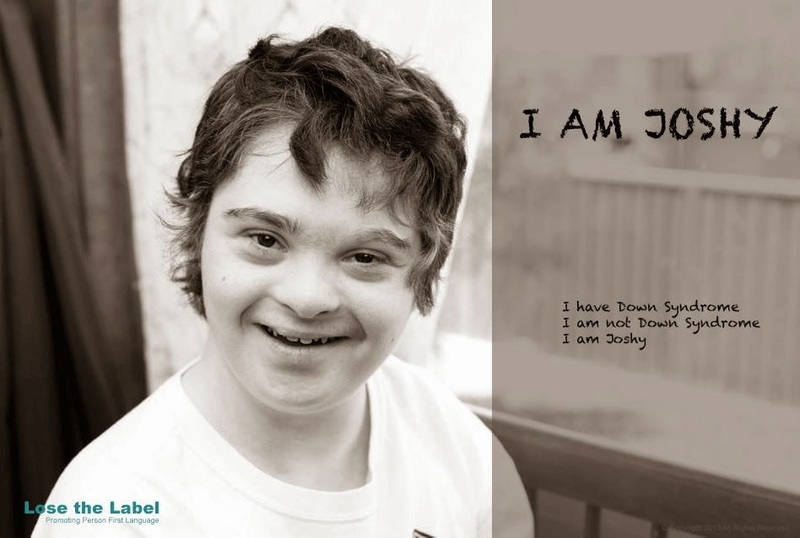 Yes, I have Down's syndrome, it's an important part of who I am, but it does not define or limit me. I am not 'a Down's'. 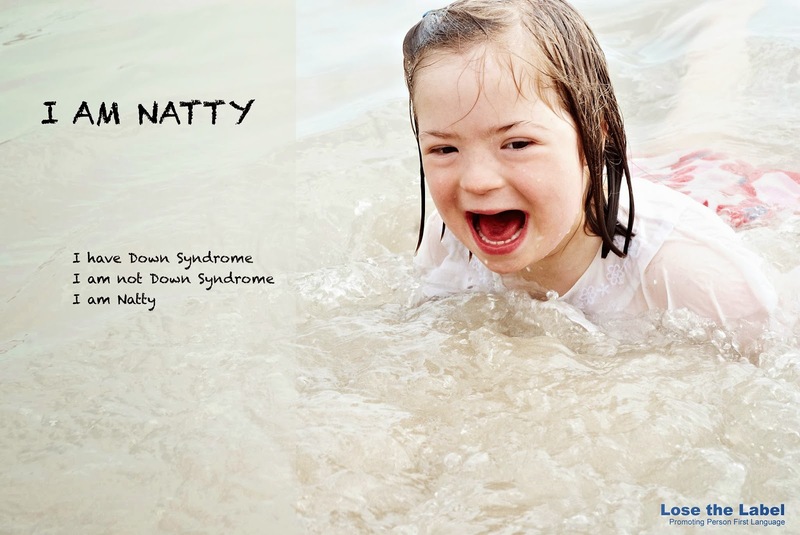 "Within hours of Natty’s birth we received the diagnosis that she has Down’s syndrome and a heart condition. I’m sure many of you reading can relate to the crushing disbelief, the angry grief, the gut-punching shock, the darkest of fears that makes it hard to even simply breathe in and out. When I look back at that snapshot in time, I understand how, rather than seeing Natalia for exactly what she was, a beautiful yet vulnerable baby, our precious second born daughter, a little sister for Mia, she became in our minds a set of medical complications, a set of symptoms, and worse still, a collection of preconceived stereotypes based on the fleeting glimpses into the lives of adults with Down’s syndrome I had seen in my youth. Our baby became in that moment, Down’s syndrome personified. A one-size-fits-all label. Now, 7 years down the line, and Natalia refusing to conform to one single stereotype that had entered my mind that day, I pour as much energy as I can muster into telling the world that our children and young people are all unique individuals with fully rounded personalities who deserve the same rights and opportunities as everyone else. I shout from the rooftops that they take on the values and traits of their own family members and contribute much to the communities around them. Not just ‘cute’ or ‘musical’ or ‘loving’, their voices must be counted. I know now just how wrong I was and I want the truth exposed. When I came across the inspired work of Lose the Label, I knew immediately that it was something I wanted to be a part of. For together, if we can remove the fear from the hearts of just one new set of parents, to buy them bonding time with their newborn it is worth it. Or if we can shift the thinking of one member of society that will lead them to be more inclusive, then we have improved the life of someone somewhere with Down’s syndrome. And if we can make people stop and think before they label our children, then we have removed one more barrier before them." 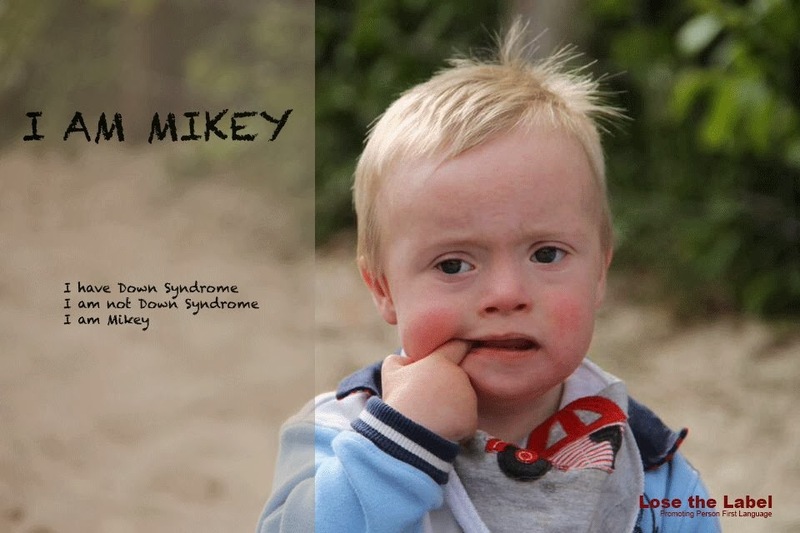 If you have a photograph of your child with Down's syndrome that you would like to submit to be included in the campaign, you can write to Michelle via her Lose the Label Facebook page. Images must be high resolution, good quality, landscape and have space for text to one side. You might like to read Musical and Loving Aren't They? on the subject of stereotypes and labelling. I think this is a wonderful campaign and even though Boo does not have Trisomy 21 but cerebral palsy I want to say the same to the world. He is Boo, a beautiful, happy and hilarious boy with a fabulous and unique personality. He would love Natty!